Gavin Larsen, a former principal dancer with Oregon Ballet Theatre, lives in Asheville, NC, where she teaches and writes about dance. After training at the School of American Ballet and Pacific Northwest Ballet School, she danced with Pacific Northwest Ballet, Alberta Ballet, and the Suzanne Farrell Ballet before joining OBT. In addition to regular contributions to Pointe, Dance Spirit, and Dance Teacher, her writing has been featured in Dance/USA’s journal In the Green Room, Oregon ArtsWatch, Artslandia, and literary journals the Threepenny Review, Page&Spine, and Kyso Flash. She is working on a book about her life in dance. ASFB in rehearsal with director Tom Mossbrucker. Jessica Moore, Courtesy ASFB. In 1996, Aspen Santa Fe Ballet artistic director Tom Mossbrucker was a veteran Joffrey Ballet dancer with no aspirations to direct a company. But while visiting a Colorado music festival with his partner, Jean-Philippe Malaty, also a dancer, a chance encounter changed his mind. "We met Bebe Schweppe, who ran a ballet school in Aspen but always dreamt that the city could have its own resident company," Mossbrucker recalls. "We thought she was crazy and said, 'Good luck with that!' But she thought we were the ones who could do it." After a few weeks of discussion, the pair moved to Colorado and a company was born. Francois Perron teaching class at the French Academie of Ballet. Rachel Neville, Courtesy French Academie of Ballet. When Katie Spagnoletti was 16, she auditioned for several well-known, company-affiliated summer programs. Although she received some acceptances, the price tags and level of competition felt daunting. She decided to try the relatively smaller Saratoga Summer Dance Intensive instead, and when she walked into orientation her first day, she sensed she'd made the right choice. "Co-director Melinda Roy greeted me—and every other student—by name. It made me feel like the faculty was truly invested in me as a person and a dancer," says Spagnoletti, now a dancer at City Ballet of San Diego. "I had friends who'd gone to some of the big-name schools, so I'd heard about those experiences—and I knew mine was going to be unique." When planning your summer, it's exciting to think about an intensive at a prestigious pre-professional school—maybe the one attached to your dream company or that all your friends are talking about. But is bigger always better? With a wealth of options for summer study, it's worth looking at the benefits of smaller schools. For many dancers, training in a close-knit atmosphere can outweigh the cachet of a big name. Will I lessen my job prospects if I don’t go to a company school’s intensive? Miami City Ballet's Tricia Albertson on Finding Her Comedic Side in Jerome Robbins' "The Concert"
Tricia Albertson kisses Didier Bramaz after finding the perfect hat in The Concert. Photo by Alexander Iziliaev, Courtesy Miami City Ballet. Tricia Albertson, as told to Gavin Larsen. I like to make people laugh, so I was excited to be cast as the Mad Ballerina in Jerome Robbins' The Concert. But the character herself didn't feel like me. She's so bubbly and excited, and I'm a bit more pensive (when it comes to ballet, at least). I didn't want her to come across as stupid—she's still thoughtful. I guess you could say she's flighty, but it's just that she's so excited about the music at the concert that everything else is a blur to her. Carolina Ballet in Zalman Raffael's In the Gray. Photo by Ames Photography, Courtesy Carolina Ballet. 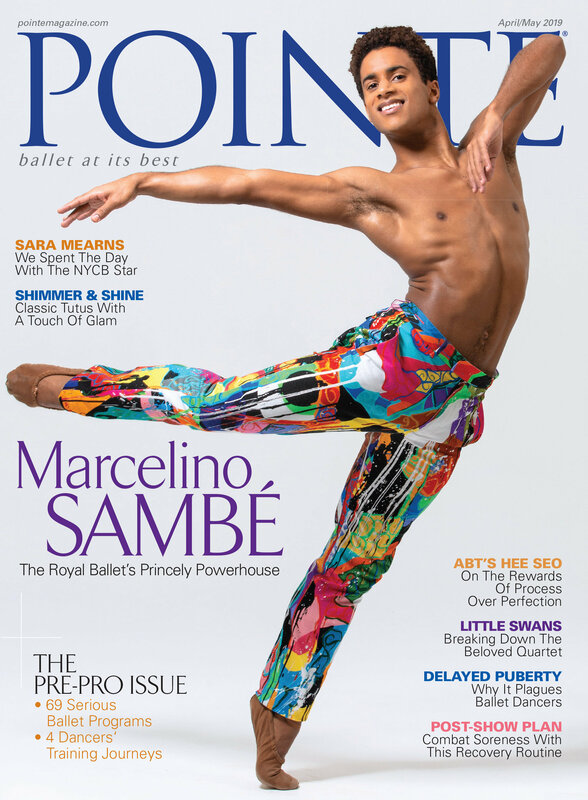 In 1996, a classified ad in Dance Magazine read: "Carolina Ballet…seeks an Artistic Director to lead the next phase of its development as a professional company." Robert Weiss, who had been a New York City Ballet principal dancer and spent seven years as Pennsylvania Ballet's artistic director, was intrigued. "It was the chance to start something from scratch, build it from the ground up, like George Balanchine and Lincoln Kirstein did," he recalls. "Could I make something successful for the community and for myself in an artistic way I really believed in?" More than 20 years later, it's abundantly clear he could. Weiss' Carolina Ballet has had 122 world premieres (second in the country only to NYCB). That includes over 60 of his own creations, 16 by principal guest choreographer Lynne Taylor-Corbett and 20 by co-artistic director Zalman Raffael. The 38-member company presents over 80 performances a year—a staggering number for a midsized company—in North Carolina's Triangle region of Raleigh, Durham and Chapel Hill.